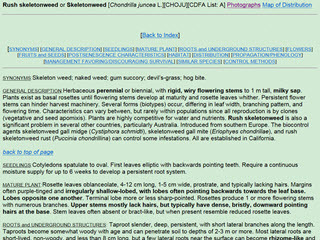 Chondrilla juncea (rush skeletonweed or hogbite) is an invasive, perennial flowering plant introduced in parts of Australia, South America and North America. In the U.S., the weed is classified as noxious, prohibited, or banned in nine western states and present in sixteen states. It can displace native plants, like the threatened Silene spaldingii (Spalding’s catchfly) in western North America, and it can reduce product yield in wheat fields by 80%. Disturbed areas such as rangeland, cultivated sites, and burn areas are typically more susceptible to invasion. The plant only propagates from adventitious buds on the root system and on root fragments, as well as from asexually produced seeds, and the root system is long-lived. 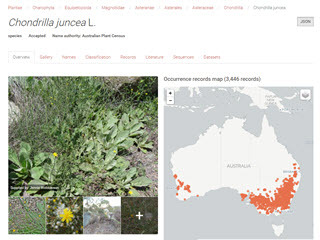 This key, which focuses on fruit characteristics, can be used to separate Chrondrilla juncea from other biosecurity-relevant species of Asteraceae present in Australia. Scientific names are linked to photos, species profiles, and other valuable web pages. 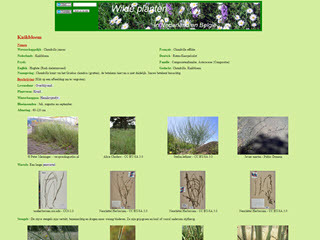 See Chondrilla juncea's species profile. This Atlas page has an excellent image gallery, links to molecular data ("Sequences" tab), breakdown of occurrence records by various categories ("Records" tab), an interactive map, and more. 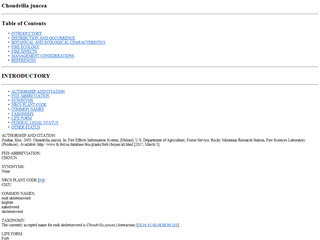 A brief description is on the "Overview" tab. This hobbyist image gallery (in Dutch) features an array of enlargeable images organized by and interspersed with descriptions. There are photos, botanical illustrations, herbarium sheets, and distribution maps. 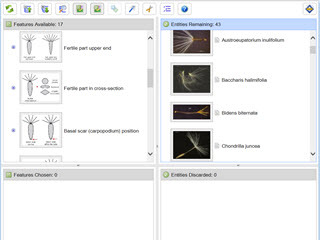 Click on botanical terms for definitions and illustrations. This fact sheet describes morphology by plant part and life stage and includes information on biology, ecology and management. Find a link to some (rather small) photographs at the top of the page. 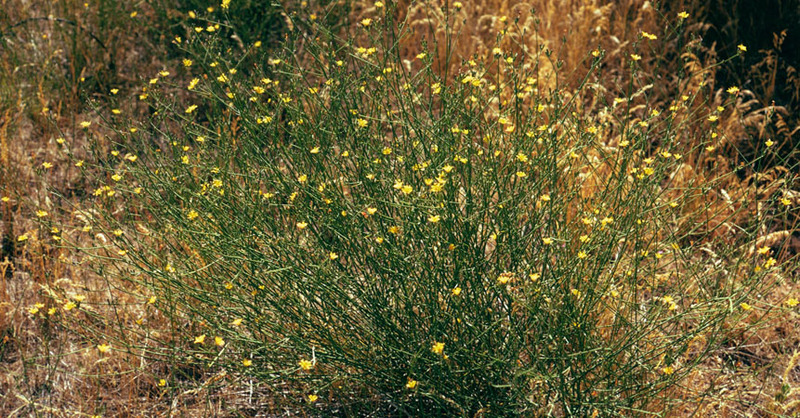 This comprehensive fact sheet covers rush skeletonweed's morphology, biology, and ecology (see "botanical and ecological characteristics"), as well as other pertinent topics related to managing this invasive.